It is hard to believe that another season is now in the books, and we are again reminiscing over what was a near perfect summer on Martha’s Vineyard. The weather was idyllic, and the usual seasonal events delivered plenty of enjoyment to its patrons. The ferries and beaches were non-stop full, and the real estate market on-Island continued a positive, albeit more modest trajectory from 2015. The typical springtime real estate search activities began haphazardly but gained steam as we migrated into summer. And we have been been actively in the field with clients ever since with the expectation that a productive fall market is unfolding before us. Despite the continued geo-political and macro-economic issues in the world today, prudent investment decisions and lifestyle choices remain overriding considerations among buyers of Martha’s Vineyard real estate. With relative value, choice, and compelling lending rates still available, we are anticipating continued search and acquisition activity through year-end before the holidays and quieter winter months arrive. 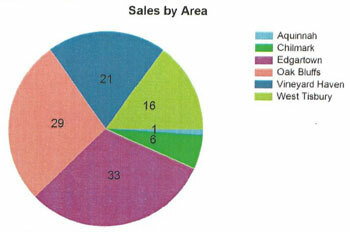 The confluence of events that has enabled Martha’s Vineyard to retain market traction this season still has room to run before emulating the conditions found among many primary markets, which is arguably a supply driven issue focused upon the limited availability of quality properties for sale. That is not the condition on-Island. However, the general local market dynamic and sentiment has notably improved with more interest and greater activity from buyers and sellers alike. After closing a robust and markedly intense 2015 season, and given the continued degree of activity that we have experienced year to date and year-over-year, we expect our micro-market to continue “normalizing” and follow both the region’s primary and other second home market trends. Year to date 301 residential properties have sold on Martha’s Vineyard, which is down 5.3% from the 318 sold for the same period in 2015. Q3 alone conveyed 106 residential properties, down modestly by 15.0% from the 124 sold in 2015 for the same period. The number of properties for sale however, has remained relatively constant for nearly seven years. 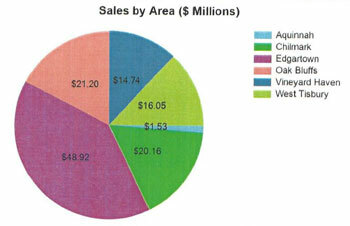 There are currently 637 total active listings representing $1.441B of listed real estate on-Island. At the Quarter’s close, year-over-year median home sale prices increased 10.0% from $690,500 to $756,125, but average home sales prices decreased by 14.0% from $1,337,104 to $1,156,539 for the period. These metrics speak to the change in price segment participation this season from last year, reflecting the properties sold. On average, YTD home sales on-Island have transacted at approximately 95% of their asking price while realizing 125% of their tax assessment. This correlation suggests that property sale prices exceeding the respective tax assessment have continued to trend more broadly throughout our micro-market, but still remain subject to the attributes of condition, location, utility, scarcity and uniqueness. Acquiring real estate in this largely second-home market is often a discretionary decision. However, given the consistently high level of inventory coupled with continued low interest rates, this arguably remains one of the most attractive times to acquire an Island property for both financial and emotional returns. There will come a time, and likely now sooner than later, when this degree of opportunity will become out of reach for some. But Martha’s Vineyard, compared to many like markets, continues to afford an attractive opportunity for those willing to make a commitment to her. Please visit www.mvlandmarks.com to view a comprehensive list of all available Island listings. If you would enjoy having immediate and free, real-time access to our ever-evolving inventory of listings, please contact us to receive access into LINK, the Island’s local MLS. And as always, do not hesitate to contact us with your questions and curiosities concerning those properties of interest and Martha’s Vineyard real estate topics in general. If, however, a purchase of Island property is not in your future right now, this is an opportune time to book your summer vacation rental for 2017. Our Island-wide inventory features homes that accommodate most every need, but competition for the best properties and available weeks has markedly increased. Our experienced rental agents are readily available to assist you in finding the perfect vacation home. Please do not delay, contact us now to assist you with creating your dream vacation! Other parts of New England may be more known for their beautiful foliage, but Martha’s Vineyard foliage is spectacular if you know where to go! Places to find the best colors on the island are those areas that are wet and have blueberries and huckleberries. The Land Bank’s Sweetened Water Preserve on Edgartown-West Tisbury Road in Edgartown has easily viewed from a passing car foliage that won’t disappoint. This area is also home to water willows, which are known for turning a deep, cranberry red. Passing motorists on County Road in West Tisbury will also be able to see the sumac trees which are also known for turning a deep red. The most distinctive fall foliage may lie on the great outwash plains of the south shore. Looking to get a little closer to the changing colors? Quansoo Farm, Sepiessa Point Reservation, and Long Point Reservation, all located in West Tisbury, offer public trails that have beautiful panoramic views of the sea and foliage. No matter what time of year you are visiting the island, be sure to check out some of the amazing hiking trails scattered across Martha’s Vineyard. Some popular hikes include Great Rock Bight off of North Road in Chilmark. The moderately easy hikes wind through woods to a bluff overlooking Vineyard Sound. Dog-friendly, and leading to a beach only accessible by foot, this is a great way to spend a sunny afternoon. If you’re looking to get a little closer to the wildlife of the island, Long Point Wildlife Refuge is a great place to start. The refuge offers miles of hiking trails and plenty of vegetation and vistas. More information on hiking trails and locations can be found here. Martha’s Vineyard has always been steeped in the tradition of farming and fishing. One thing you can’t miss this fall on the Island is the annual Martha’s Vineyard Food & Wine Festival. MVF&W is a four-day, four-night experience that any foodie, or hungry traveler, won’t be disappointed about. Located throughout Edgartown the festival consists of 22 events. A portion of the proceeds goes to benefit the island’s farm-to-school program Island Grown Schools. Tickets can be purchased on the festival’s website. Martha’s Vineyard offers an amazing art scene year round. Fall is home to the Vineyard Artisan’s Annual Columbus Day Festival. This free festival located in West Tisbury is a fun for the whole family. Catch local artisans of all disciplines! One of the best parts of visiting the island in the off-season is that there are fewer people, which means fewer cars, and a shorter commute to any part of the island. This gives you an opportunity to really enjoy the beautiful scenery the island has to offer without all the chaos of clogged roads and insanely busy restaurants.